Apologies to T. S. Eliot, but I couldn’t resist the headline. And there will indeed be some cool things happening now that the winter that “kept us warm” has come to an end. First up, I’ll be giving a talk at the Penguin Bookshop in Sewickley on April 27, sharing details surrounding the adaptation of my story “Traumatic Descent” for the upcoming anthology film Nightmare Cinema. Although I cover the process of adapting “TD” in Voices and This Way to Egress, the Penguin event will give me a chance to relate some recent surprises and developments. 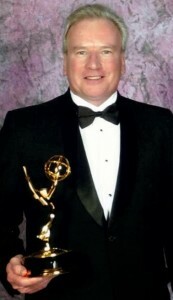 I also plan to cover practical advice about storytelling and scriptwriting. The talk is titled “From Page to Screen,” and it gets underway at 6:30 p.m. If you’re in the area, I’ll hope to see you there. Professional secrets will be revealed. 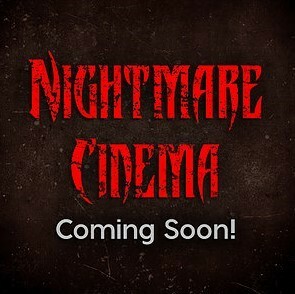 It’s worth noting that the aforementioned Nightmare Cinema is being produced by Mick Garris, the same filmmaker who brought us Stephen King’s Sleepwalkers and the television versions of both The Shining and The Stand. 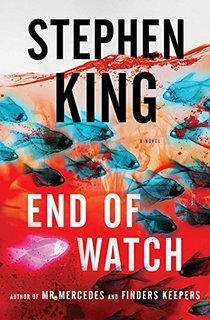 I mention these titles because Stephen King will also be giving a talk at the Penguin later this spring, promoting the release of his forthcoming thriller End of Watch. Tickets for the Stephen King event go on sale April 17. Here’s a link for more information. Mark and I performed together on the college circuit back in the 70s. We called ourselves The Other Brothers, playing gigs, writing songs, and recording demos with our other brother John, who had a basement equipped with what was then state-of-the-art technology. I’m talking reel-to-reel four track tape. Real handmade music! Mark and I will be playing some Other Brothers tunes at Riley’s, but you don’t have to wait until then to hear them. By clicking the player below (which features another photo of Mark, this time with a 20th-century version of the 21st-Century Scop), you can hear our demo cut of “Midnight Lover.” Mark wrote it, and it should have gone platinum. Enjoy the song, and I’ll hope to see you at the Penguin Bookshop or Riley’s Pour House – or both. Until then . . . scop on! This entry was posted on Wednesday, April 13th, 2016 at 5:43 am and is filed under 21st-Century Scop. You can follow any responses to this entry through the RSS 2.0 feed. You can leave a response or trackback from your own site. Powered by WordPress and delivered in 0.258 seconds using 48 queries.